We specialize in carpet cleaning in Paso Robles, CA. We show up on time. We show up in a professional matter, and we come in with state-of-the-art steam cleaning equipment that cleans your carpets and gets them looking like new with very minimal drying time needed. We take care of your carpet as if it was I our own and always take great care of your personal property. 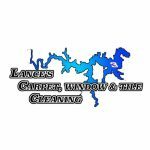 So, if you have just a single room in your home that needs cleaning or your entire house, we’re the guys to call.